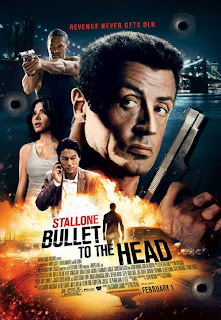 Over the last few weeks I've been watching the trailers for Bullet to the Head, starring Sylvester Stallone. Tonight I just caught a new teaser clip of the movie and bam, there was a familiar face in that video! I had never really stopped to check the cast listing. 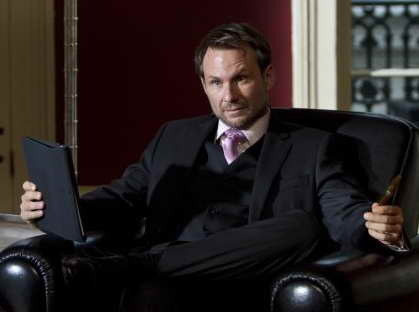 Sure enough, Jason Momoa plays Keegan and another favorite of mine, Christian Slater is in the movie. Other cast include Sung Kang, & Sarah Shahi. It's directed by Walter Hill. Hill's past credits include producing Prometheus, AVPR: Aliens vs Predator - Requiem, Aliens, and Alien. 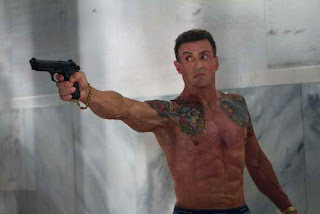 So the man knows how to make action films. So! Momoa is the guy with the axe! Ha! What I am finding interesting that though the marketing to the movie has been rather subtle until this week, apparently over a thousand folks have chimed in over on IMDb and have given Bullet to the Head a 7.1 user score out of 10! Stallone is looking pretty good, all things considered. "After watching their respective partners die, a New Orleans hitman and a Washington D.C. detective form an alliance in order to bring down their common enemy." 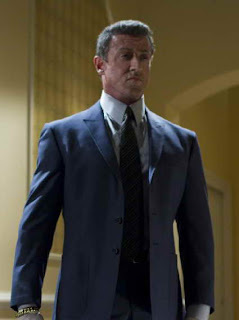 The movie opens in theaters in the U.S. February 1st, 2013.